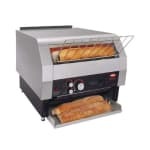 The Hatco TQ-1800BA Toast-Qwik™ conveyor toaster can toast up to 30 buns, sub rolls or bagels per minute, ideal for any deli or small volume restaurant. This unit is programmed for instant adjustment of toasting time to match the specific products being toasted. A ColorGuard sensing system assures the product will be toasted perfectly. 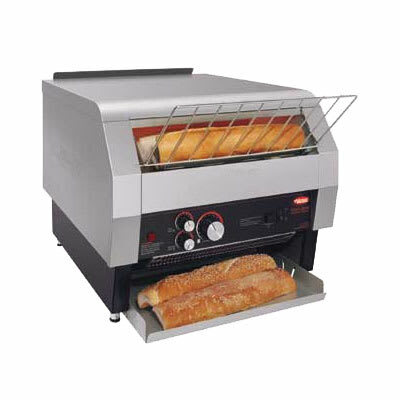 The electric conveyor toaster also has a toast storage area that will keep products warm.